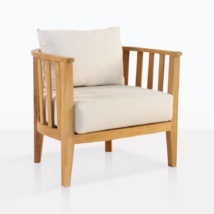 Elegant, robust with a seemingly delicate design; the Lutyens Teak Outdoor Chair is a charming choice for your home! Whether in a flower filled garden or on a patio for a tasteful and comfortable chair; the Lutyens Arm Chair is a versatile piece you will be proud to have in your home! 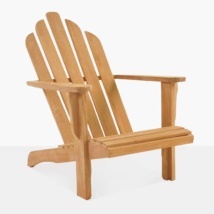 W37" x D25" x H41"
This classic teak arm chair is constructed from the finest A-Grade Teak, configured into a sturdy frame, complete with a intricate design along the back, this is a piece that will stand the test of time. 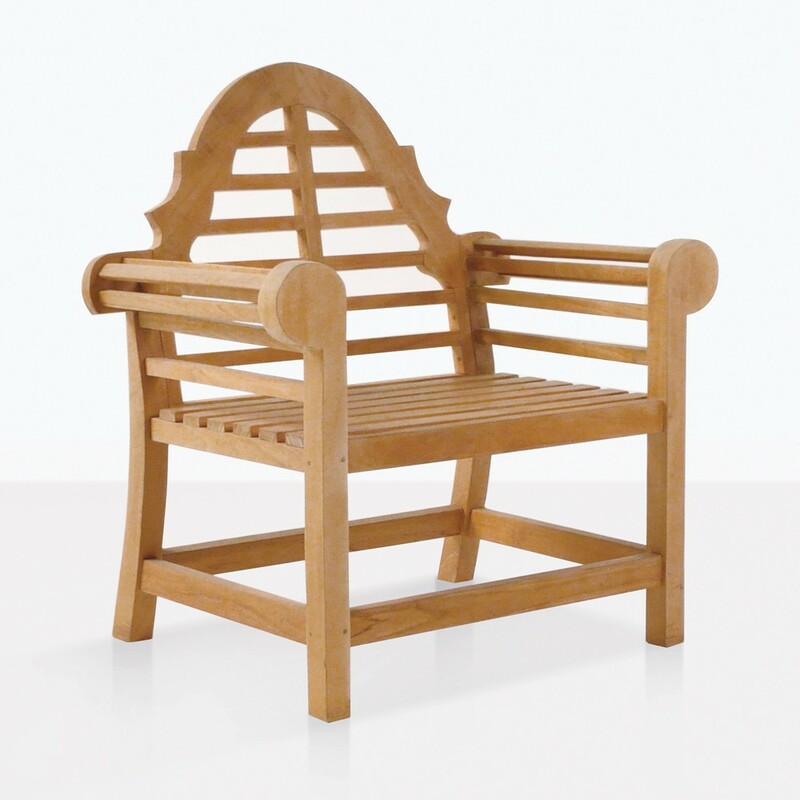 Lower than dining height, the Lutyens Arm Chair is the stylish and decorative option for any patio setting! This is great in combination with other Lutyens style pieces or on its own! Try two Lutyens Arm Chairs framing a Lutyens 3 Seater Bench in your lush garden setting. Place a Classic Coffee Table in the midst of this charming set, making it perfect for casual meals and afternoon teas in the garden! 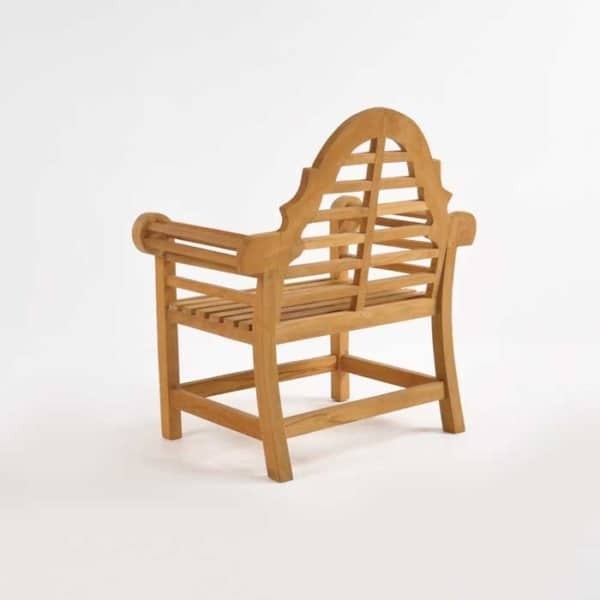 Get creative and set up four Lutyens Classic Teak Arm Chairs on your patio with a Low Round Coffee Table for a casual retreat for you and your friends! 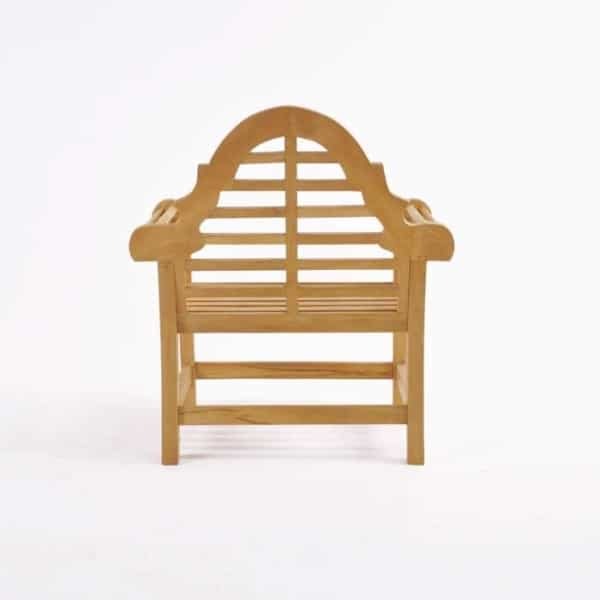 This type of chair also looks wonderful in a zen space for meditation, imagine one of these facing a small water feature, add a few plush Sunbrella® cushions and enjoy the tranquility of your space in a stable, sturdy, and comfortable chair. 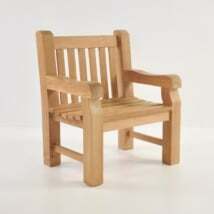 > In the Lutyens Collection we also carry a 2 Seater and 3 Seater Bench, so you can make a seating collection that will fit into a more modest space. Dress up with colorful cushions, and make it your own! 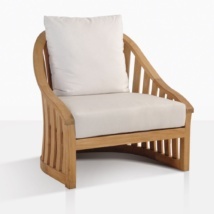 The Lutyens Arm Chair is available and in store ready for pick up or delivery! We ship nationwide! 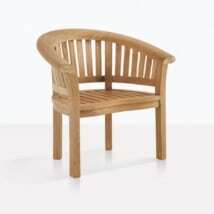 Teak Warehouse offers first hand assistance! Our sales staff are in store 7 days a week, ready and happy to help our customers find the perfect furniture for their home. So, what are you waiting for? Call us today!